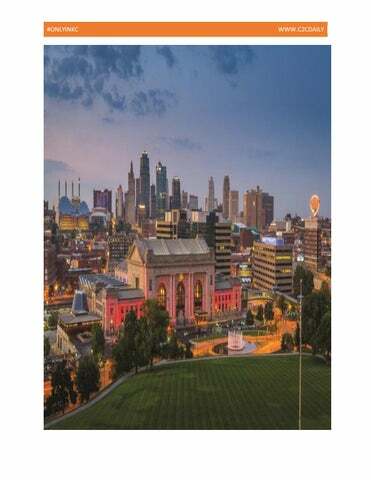 From the Editor/Publisher I was born and raised in Midtown Kansas City, MO. Even though I have been living in the DFW area for the past 6 years now I Still consider Kansas City, Mo HOME!!!! I recently came to visit back in March 2019 for a week, some things looked the same but other things have changed. I decided to do another #ONLYINKC edition to show case some of the BEST things that are in KC!!! I will always will hold KC in my heart because of its Arts and Culture that it has. Along with some of it best places to visit at. I hope that you all enjoy looking through this as I did preparing it and will showcase it on my online magazine platform. I may be gone from my hometown but I have not forgotten where I came from and will never will. Thanks for letting me share this with you. Please feel free to share this with everyone you know. Thank you so much for what everyone in KC has done for me. Who knows but I might just have to come for another visit soon and see everyone!!!! Our Vision The Kauffman Center for the Performing Artsâ&#x20AC;&#x2122; vision is to enrich the lives of everyone in our community through extraordinary and diverse performing arts experiences. What is First Fridays? Mark your calendar! On the First Friday of every month all year long, thousands of residents and visitors fill the sidewalks of the Crossroads in Kansas City, enjoying what has become the city’s liveliest and most popular event. Arts organizations, galleries, studios, and a wide variety of local businesses feature regional and national artists as well as live entertainment starting at 5 p.m. Best explored on foot, the First Friday tradition continues to grow with up to 10,000 attendees. Most make it an evening, with dinner and drinks from a colorful array of restaurants and entertainment venues. Find out what’s planned for the next First Friday. What to expect? Food trucks, street music, aerial performances, sidewalk vendors, buskers, live theater, traditional and avant-garde art exhibits, and more… Need help getting to the Crossroads and finding your way around? Learn more on our Visitor Info page. Learn more about the art, parking, food, and entertainment you will find at Visit KC’s First Timer’s Guide to KC’s First Fridays. Want to SEE what First Fridays in the Crossroads is like? Watch this video from BostWiki. Crown Center Kansas City Crown Center is the place for pure entertainment. With exciting events and unique attractions. A center full of locally owned shops and restaurants. And two luxury hotels so you can stay at the center of it all. It’s perfectly located, too … right in the heart of Kansas City. If you’re looking for fun things to do, you’ll find them at Crown Center. See you soon. products in 30 languages and distributes them in more than 100 countries. Union Hill is a historic neighborhood in Kansas City, Missouri. The neighborhood is located between 27th Street and 31st Street and Main Street to Gillham Road. Take in the sights and sounds of this 15-block area with a romantic horsedrawn carriage ride or a gondola float on the adjacent Brush Creek. When the holidays roll around, the Plaza Lights are an eight-decade sensation and the annual Plaza Art Fair each fall presents the countryâ&#x20AC;&#x2122;s top visual artists. Sidewalk cafes and patios on the Plaza just canâ&#x20AC;&#x2122;t be beat. See for yourself and rest your heels at local institutions like The Classic Cup (seafood and sandwiches) and Gram & Dun (comfort food with creative drink pairings). Rye features down-home favorites such as fried chicken and hand-selected steaks cooked over pecan and white oak, plus a killer weekend brunch. Other favorites include Parkway Social Kitchen for swanky atmosphere, Kaldi's Coffee for caffeination and Shake Shack for craveworthy cheeseburgers.